Scheda: Nazione: USA - Formato: Color, documentario, dvd - Durata: 240'. Plot Summary, Synopsis, Review: allmovie.com - rottentomatoes.com - dvdplanet.com: «Much has been speculated about Freemasonry since Dan Brown's infamous book; but truth is often stranger than fiction and the mysterious secrets held by the order of the Knights Templar go back deep into our forbidden and forgotten past. In this comprehensive and unprecedented collection of research by the world's top experts, experience never before revealed secrets of the Freemasons and the truth to their agenda. Discover the mystery of the Holy Grail, The Essene at Qumran, the God Kings of Europe and Royal bloodlines descended from Jesus. Gain never before granted access to the Grand Lodge of England and see for the first time their secret symbols and tools of the craft. Learn about the many layers of this Secret Society from the ancient past to the founding of America and beyond. This DVD features cutting edge research into the fascinating new areas of Freemasonry lore and history from the origins of the Freemasonry, the Knights Templar and the ancient mystery of Royston Cave». Scheda: Nazione: USA - Produzione: Morningstar Entertainment - Soggetto: Gary Parker, Jesse Evans - Sceneggiatura: Gary Parker, Jesse Evans - Fotografia: Peter Krajewski, Michael Nielson, Michael S. Ojeda - Montaggio: Edward Bishop, Chad Inman, Andy Palmer, Jeff Schiro - Scenografia: Katherine Bulovic, Bryce Holtshousen, Margaret M. Miles - Costumi: Betty Fenner-Davis - Musiche: Ramón Balcázar - Effetti speciali: David Kuklish - Formato: Color, documentario, film tv - Durata: 100'. 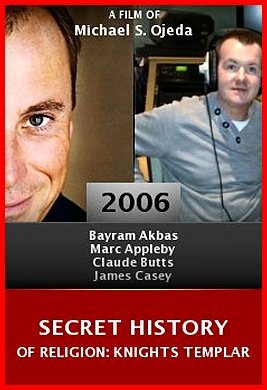 Cast: Bayram Akbas, Marc Appleby, Claude Butts, James Casey, Marjan Faritous, Matthew David, Lee DiBernardo, Edward J. Greig, Michael M. Foster, Ron Glass, Jeff Graves, Arik Greenberg, Randall Heer, Kristofer Hellstrom. Plot Summary, Synopsis, Review: IMDb - wn.com - sinemia.com - plotsummary: «Documentary examining the truth behind the religious order that are credited by some with possessing the Holy Grail, knowing the bloodline of Christ, discovering America a century before Columbus and creating modern banking». Scheda: Nazione: GB - Produzione: CTVC - Distribuzione: Five - Soggetto: David Bartlett - Sceneggiatura: David Bartlett - Fotografia: Lawrence Gardner - Montaggio: Simon Greenwood - Formato: Color, documentario, film tv - Durata: 60'. Cast: Alain Demurger, Barbara Frale, Sean Martin. 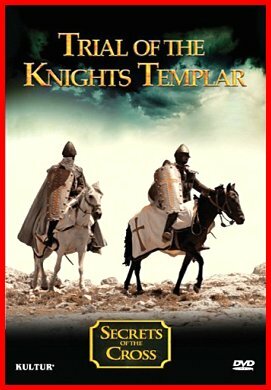 Plot Summary, Synopsis, Review: IMDb - allmovie.com - amazon.com - cduniverse.com: «Secrets of the Cross: Trial of the Knights Templar movie was released Sep 29, 2009 by the Kultur Films Inc. studio. This documentary takes an in-depth look at the legendary Knights Templar, whose origins and history are surrounded by mystery and myth. Secrets of the Cross: Trial of the Knights Templar movie Taking a modern approach to the evidence at hand, the program takes a fresh perspective on the group, in light of their mention in the popular novel The Da Vinci Code. The rise of the Knights Templar had been rapid, and their fall was equally as swift Secrets of the Cross: Trial of the Knights Templar video. 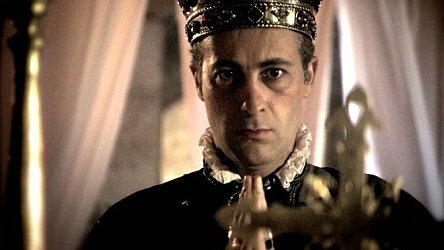 The considerable wealth the Templars had amassed was also to disappear, giving rise to myths that have shrouded the order ever since Secrets of the Cross: Trial of the Knights Templar film. And it begged the biggest question: what was the real purpose of the Knights Templars? Secrets of the Cross: Trial of the Knights Templar review. 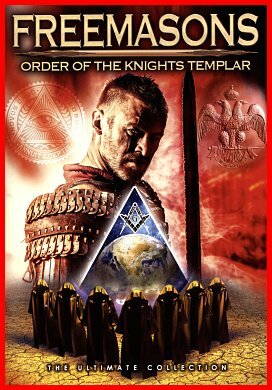 Away from the celebrity glare of The Da Vinci Code, new light is now shed on the Knights Templars, based on fresh evidence Secrets of the Cross: Trial of the Knights Templar DVD for sale. The truth starts to emerge about an idiosyncratic conglomerate of warrior-monks, ultimately leading to an extraordinary conclusion: corporate greed and until recently, the Vatican's best-kept secret; The Chinon Parchment, revealing Templar confessions of taboo rituals Secrets of the Cross: Trial of the Knights Templar movie». Conosciuto anche con il titolo: Secrets of the Cross: Trial of the Knights Templar.